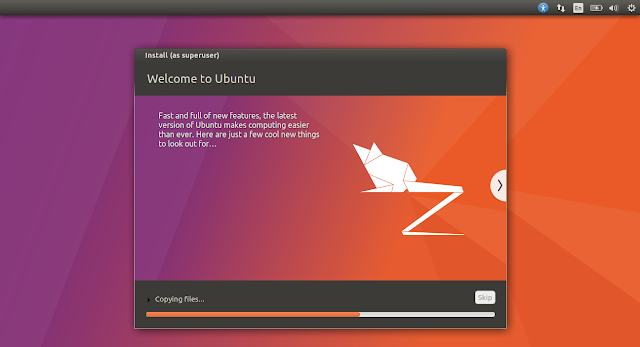 Canonical has launched Ubuntu 17.04 Zesty Zapus with various features and fixes and if you want to try it before upgrading to it, you can install a copy of the latest Ubuntu release in Virtual Box and check by yourself if you really need to upgrade. In this article, we will show you how to install Ubuntu 17.04 in Virtual Box. I assume that you have downloaded and set up Virtual Box already and have the Ubuntu 17.04 ISO file ready with you. You can download the ISO file from the link: Ubuntu ISO download page. The first half includes setting up of Virtual Box, assigning storage and RAM and choosing the ISO file to boot from. Open Virtual Box and click on New. Give it a name - Ubuntu1704 and it will automatically update the Type and version. Also, specify the Memory Size (RAM) here. I would suggest you to go with at least 4 GB of RAM. 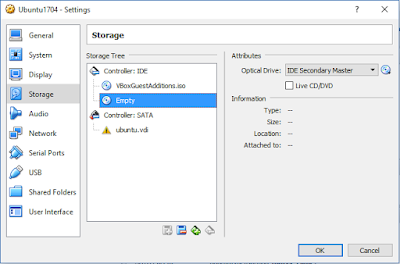 Under Hard Disk option, Create a virtual hard disk now is selected, do not disturb it unless you know what are doing. Click Create, a dialogue box will appear as shown below. 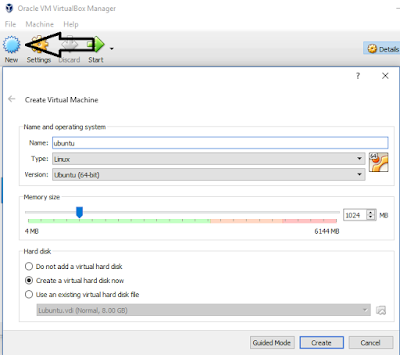 You can select the file location for the VM drive you are creating. 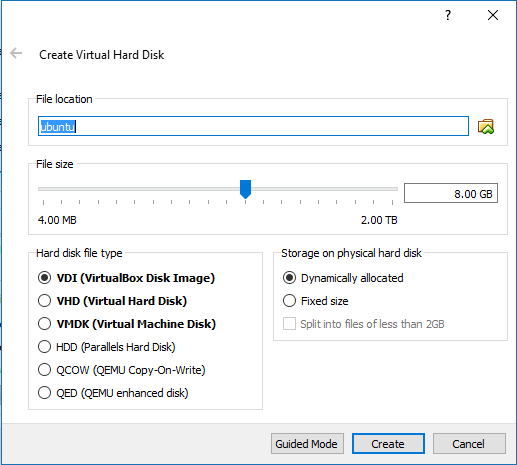 Specify the disk space you want to allocate to the Virtual Hard Disk you are creating for Ubuntu 17.04. 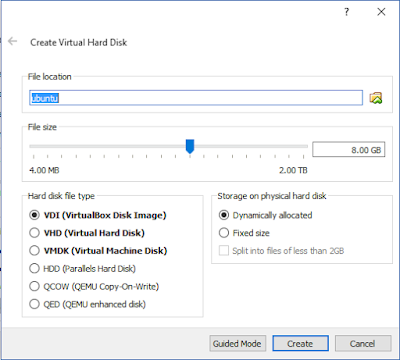 Also, under the Hard disk file type, I prefer keeping VDI - VirtualBox Disk Image and keep the drive dynamically allocated. 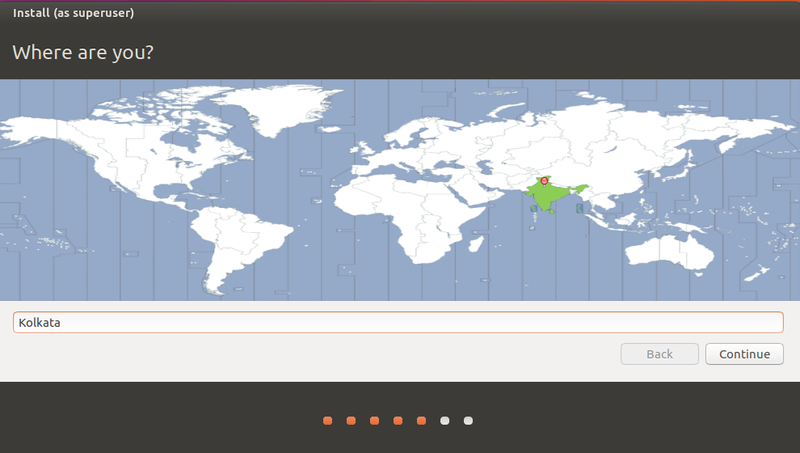 Click on Create and you will see a New Ubuntu 17.04 Machine in the left panel. Now, before you start this machine, the VM will need the ISO location to boot from. Click on Settings and under Storage section, you will see different options. Under Controller : IDE section, click on Empty. Now in the right side under Attributes, click on the CD drive icon and choose the first option : Choose a virtual disk option. 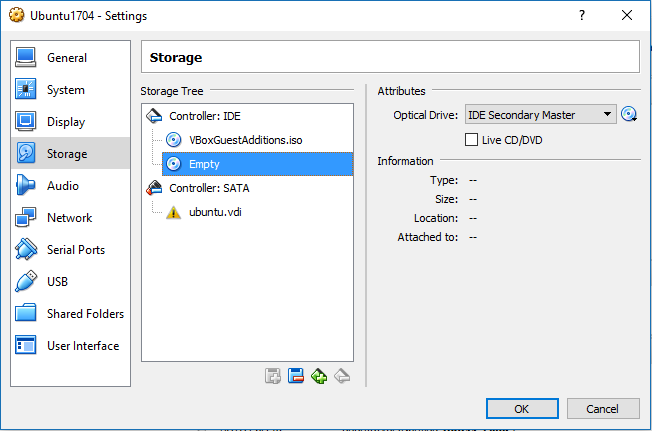 Locate the ISO you have downloaded for Ubuntu 17.04 and click OK. The first part to install Ubuntu 17.04 in Virtual Box is done. Lets look to the second part. Remember that if you are not satisfied about the selections of memory or storage, you can click on Settings and always change that. 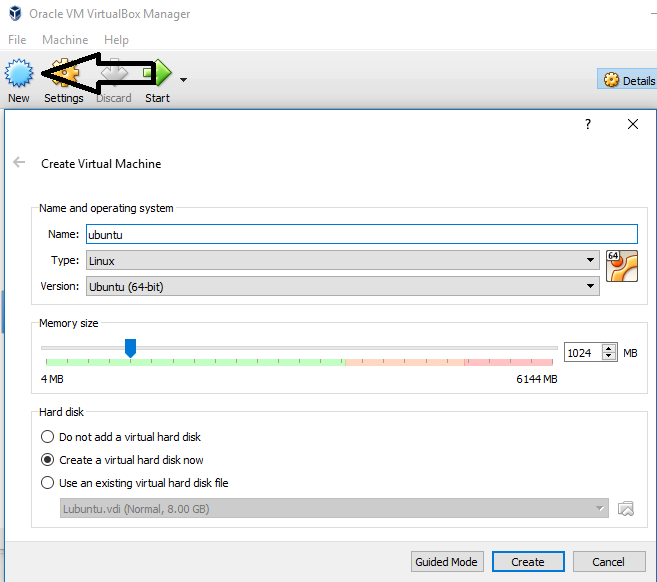 Now start the Virtual Machine by clicking on Start. 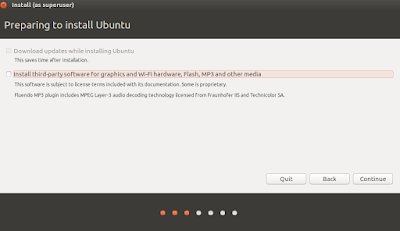 Ubuntu will boot and the installation screen will appear. 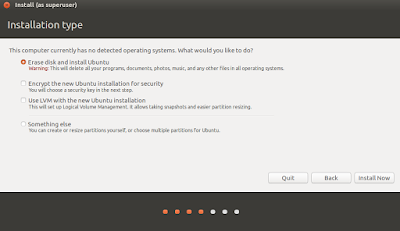 You will have the option of trying Ubuntu or installing it. We will have to install Ubuntu 17.04 in Virtual Box so that we do not need to boot it from the ISO each time. Choose Install Ubuntu after selecting the language from the left side. The next screen will ask you whether you want to download and install third party software for graphics, wifi, flash, mp3 and other media. Select it to save some time downloading each of them manually and click on Continue. 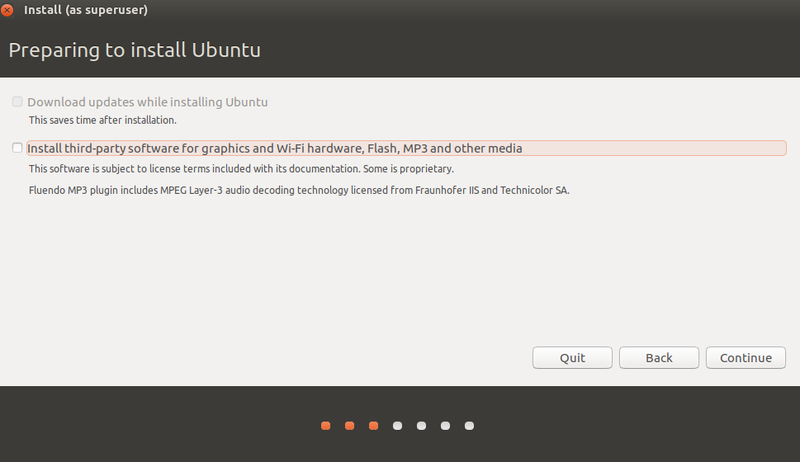 The next screen is Installation Type. 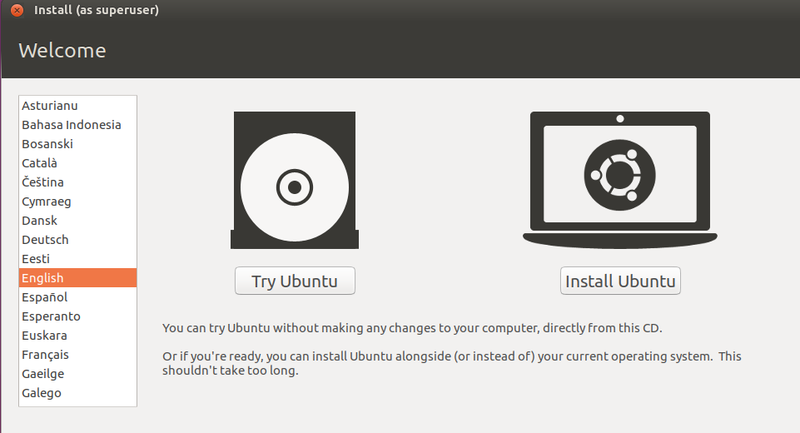 Since you are installing Ubuntu 17.04 in Virtual Box, select the first option : Erase disk and Install Ubuntu. There is no need to create of resize partitions. 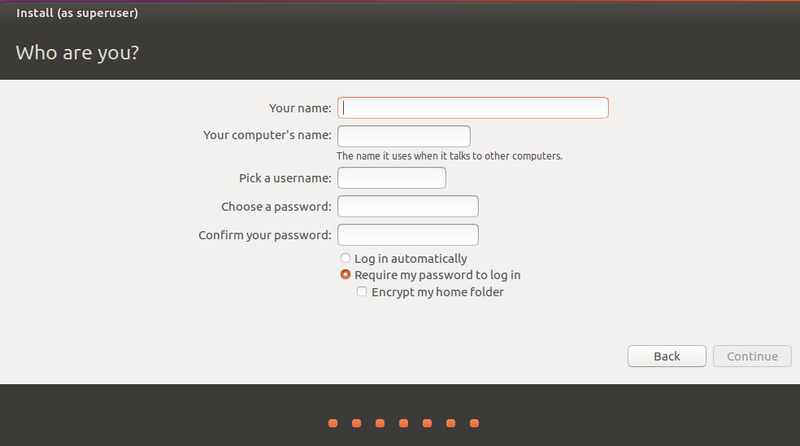 Also, you can select to Encrypt the new Ubuntu installation for security and use of LVM for the new Ubuntu installation. Once done, click on Install Now. Ignore the warning screen. Next screen will ask your location. Select your desired Keyboard layout from the options and click on Continue. 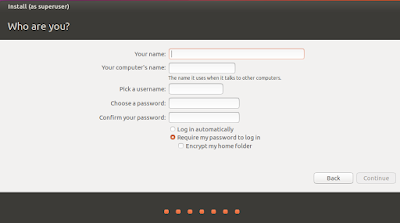 The next screen will ask your name, your PC name, a username with which you will login and password along with it. Fill all the details and click on Continue. The installation process will begin and it will take some time to complete. Installation will take some time as it will download various third party plugins. 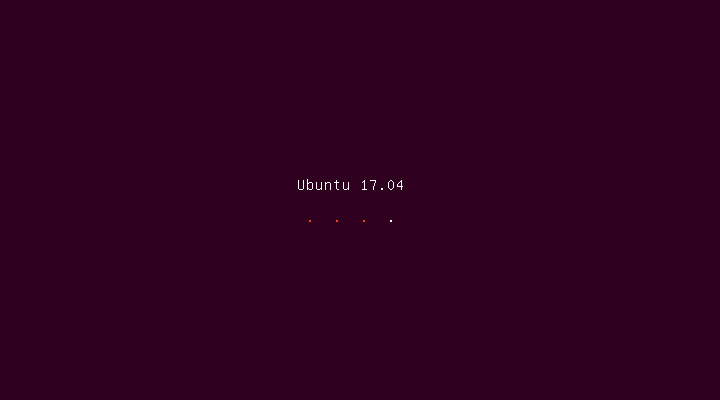 Once done, you are all good with the Ubuntu 17.04 installation in Virtual Box. 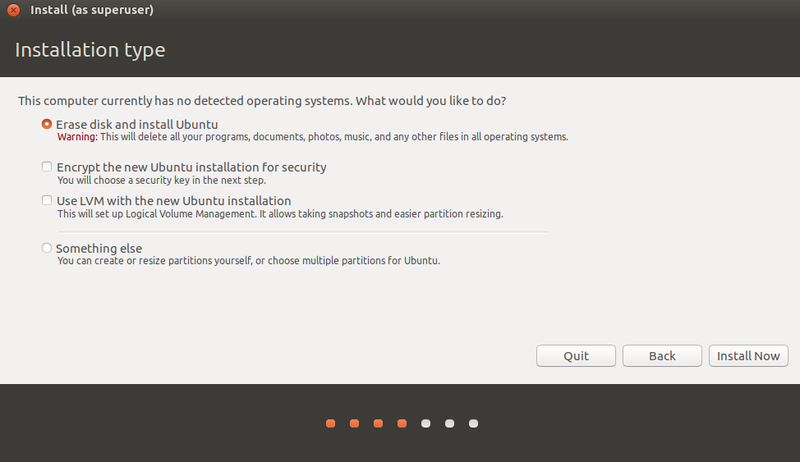 Once the installation process completes, shutdown the Ubuntu and start again. Congratulations, you have successfully installed Ubuntu 17.04 in Virtual Box. If you face any problem in the installation process, let me know in the comments and I will try to solve it.